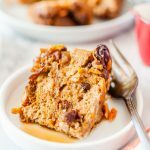 This Instant Pot Carrot Cake Bread Pudding is the perfect Easter brunch or dessert. Made with common ingredients and minimum effort in electric pressure cooker. Easy and delicious! I am a huge fan of savoury bread puddings (or stratas, such as my Smoked Salmon Croissant Strata). Sweet – not so much. 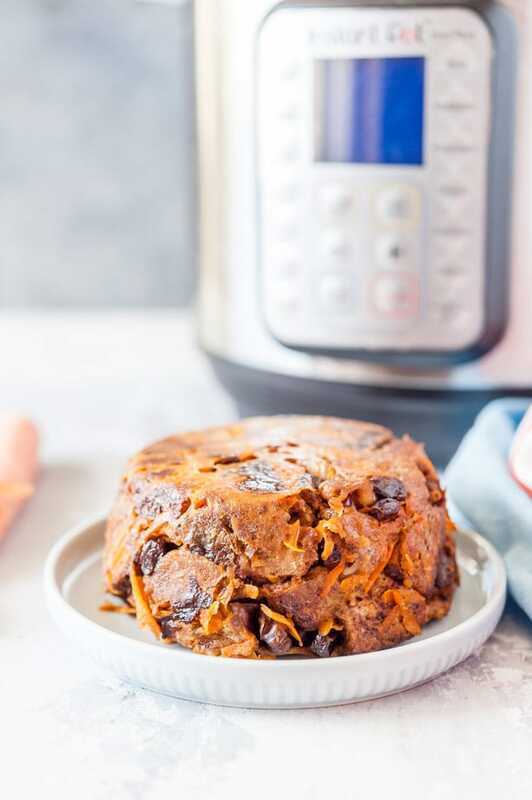 Except this Instant Pot Carrot Cake Bread Pudding is so good that I have to resist the urge to make it again and again. It took a while to develop this recipe. First attempt yielded great flavour and pretty terrible texture. So I tried again and again until I was satisfied. 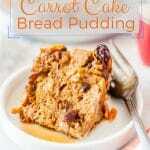 Until this Carrot Cake Bread Pudding tasted like a delicious and fluffy Carrot Cake French Toast. Bread Puddings are often called French Toast Casseroles in many recipes. To me, this is a little bit misleading. The ingredients in traditional French Toast and French Toast Casserole might be identical but flavour and, most importantly, texture are very different. Most French Toast Casseroles have a much softer texture than the stove-top french toast, as well as bits of creamy custard. That sweet custard is why I generally do not like bread puddings. 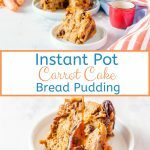 My Instant Pot Carrot Cake Bread Pudding uses less eggs and milk than most other recipes, thus resulting in firmer texture and less custard, which is exactly why I love this recipe! Ingredients are pretty simple and you most likely already have all of them in your fridge and pantry. 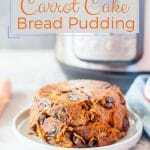 As any Bread Pudding or French Toast Casserole, this recipe is quite easy to make. You have to start with dry cut up bread pieces. 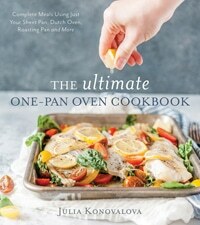 This is pretty essential as I tried making it with fresh bread and the resulting casserole was too soggy. So, cut up the bread, spread it into one layer on a sheet pan and let it dry overnight. Whisk together the eggs, milk and spices. 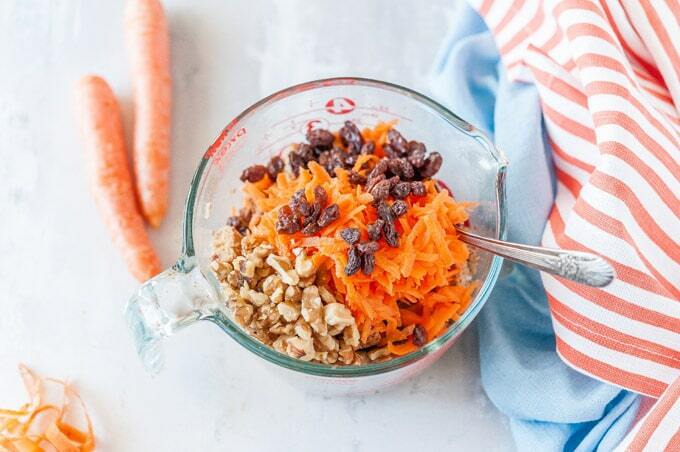 Add the grated carrots, raisins, and chopped walnuts. Add the dried bread and mix well. Place everything into a prepared bowl and cook in Instant Pot. So, basically instead of cooking this bread pudding in the oven, it is cooked in Instant Pot. That’s the only difference. 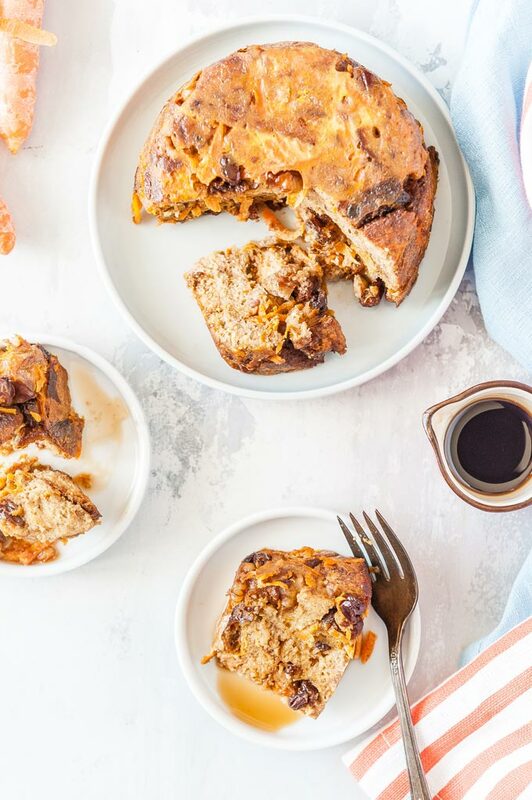 Since this is an Instant Pot Bread Pudding, it will not have crusty edges. If you prefer a little bit more colour and some crust, then after it’s cooked in your electric pressure cooker, you can place it in the oven under a broiler for a few minutes. I tried that as well and found that I preferred it without the broiler. 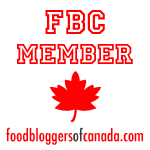 Serve hot with maple syrup for breakfast or with some ice cream for dessert! Officially, Instant Pot brand says that glass or ceramic containers should not be used in Instant Pot. I have been using various oven-safe dishes in my electric pressure cooker for over a year with no issues. But please use at your own discretion. You have to spray your dish with cooking oil really well, this will help you unmould the bread pudding. Cover the bread pudding with foil to prevent the condensation from leaking inside the dish. If you prefer not to put foil directly over the food, then you can place parchment paper first and then cover with foil. If you have leftovers, then they are absolutely delicious sliced and then lightly pan-fried with butter – just scrumptious! I use Multigrain sandwich bread usually. Most likely you can use other kind but I haven’t personally tried. If you use different bread, please let me know! 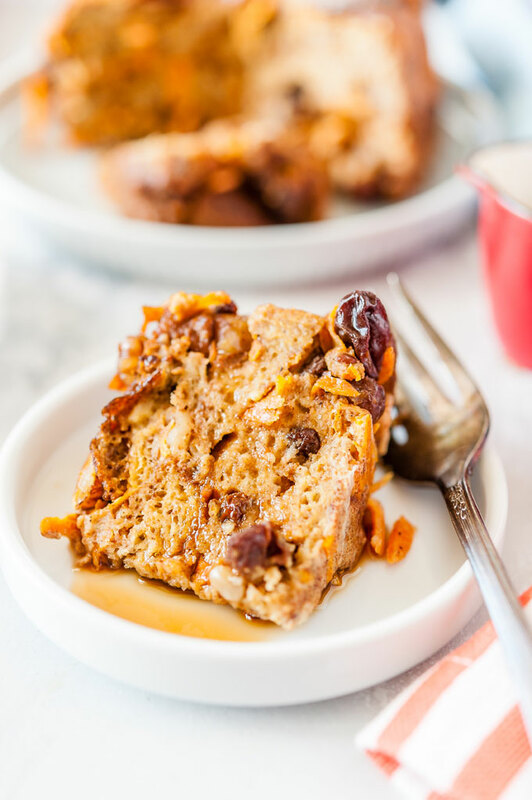 I am not a huge fan of raisins but they are really needed in this recipe as they provide most of the sweetness to the Carrot Cake Bread Pudding. If you don’t want to use raisins, you can use other dried fruit such as dried cherries, dried cranberries, dried blueberries. Or larger dried fruit that you’d need to chop into smaller pieces such as dried apricots, prunes, dried figs, dates. Using fresh berries or fruit might not work as well as they could make the pudding a bit soggy. I love using cinnamon and nutmeg in this recipe but you could add some other spices. Try using some ginger, allspice, cloves etc. I started testing out this recipe with 3 tablespoons of sugar, then reduced the amount to 2 and finally 1 tablespoon. 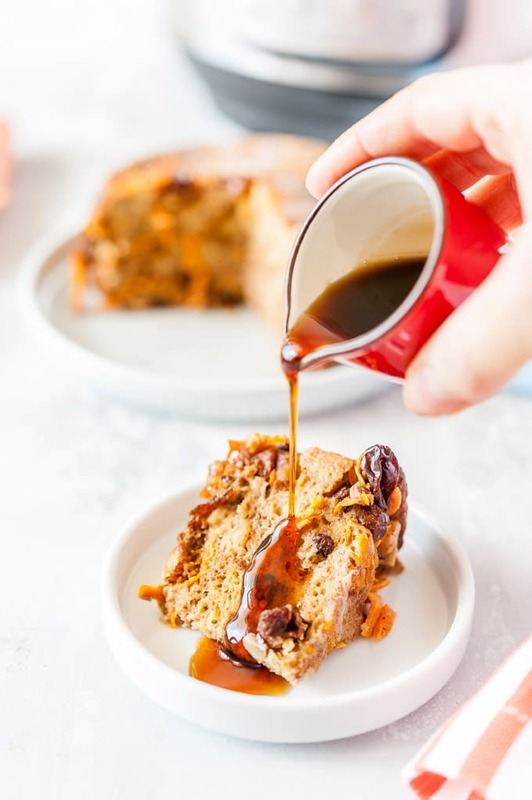 I find that 1 tablespoon is more than enough especially if this Instant Pot Carrot Cake Bread Pudding is served with maple syrup or ice cream. If you prefer sweeter desserts or breakfasts, then feel free to increase the amount of sugar to 2-3 tablespoons. 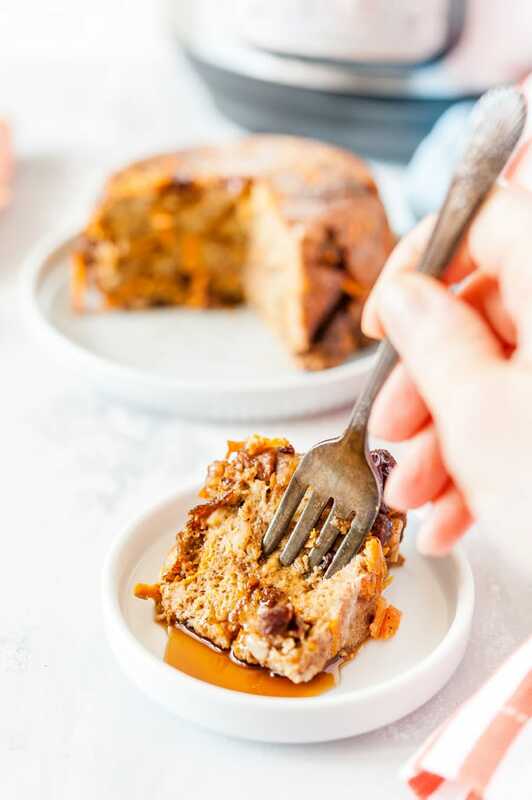 Alternatively, you could really make this a sugar-free dessert and omit the sugar altogether as raisins and carrots provide enough sweetness. I’ve been singing an ode to this ingredient for over a decade now. Orange Oil is one of my most favourite ways to flavour almost any dessert. It’s absolutely incredibly amazing! It is expensive but it lasts for a while in the fridge! If you don’t have access to Orange Oil (and you should really try to get a bottle, it’s magical), then you can use orange zest. Cut up the bread slices into 1-inch pieces, spread on a sheet pan in one layer and let dry overnight. 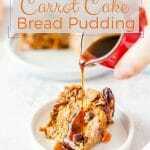 It is important to use dried bread, otherwise bread pudding will turn out soggy! In a large bowl, whisk together the eggs, milk, sugar, cinnamon, nutmeg, vanilla extract, and orange oil (or orange zest) until smooth and combined. 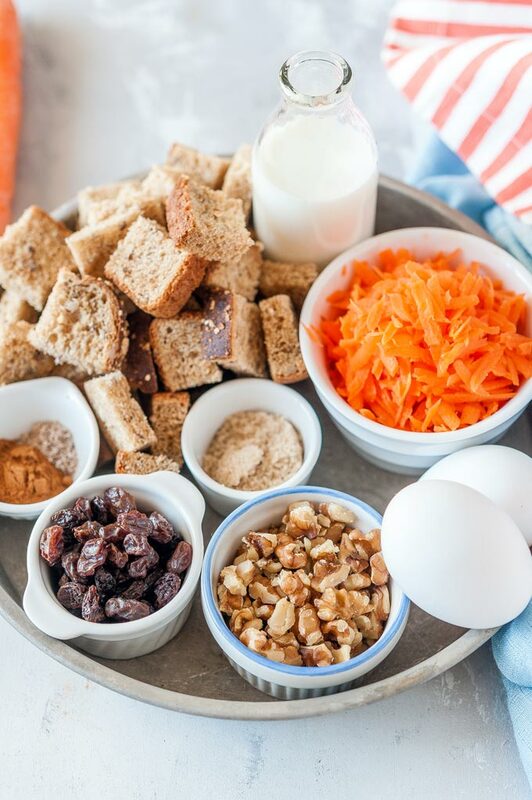 Add the dried bread, grated carrot, raisins, and chopped walnuts to the eggy mixture. Mix well until everything is incorporated and all the bread is covered in the milk-egg mixture. Spray an oven-safe glass dish that fits into your Instant Pot with cooking oil. Transfer the bread mixture into the prepared dish. Add 1 cup of cold water to your Instant Pot and place a trivet inside. Cover the bread pudding dish with foil, place on the trivet inside your Instant Pot. Press Manual or Pressure Cooker button (depending on your model) and use the arrows to select 25 minutes. It will take about 7-8 minutes to come to pressure. 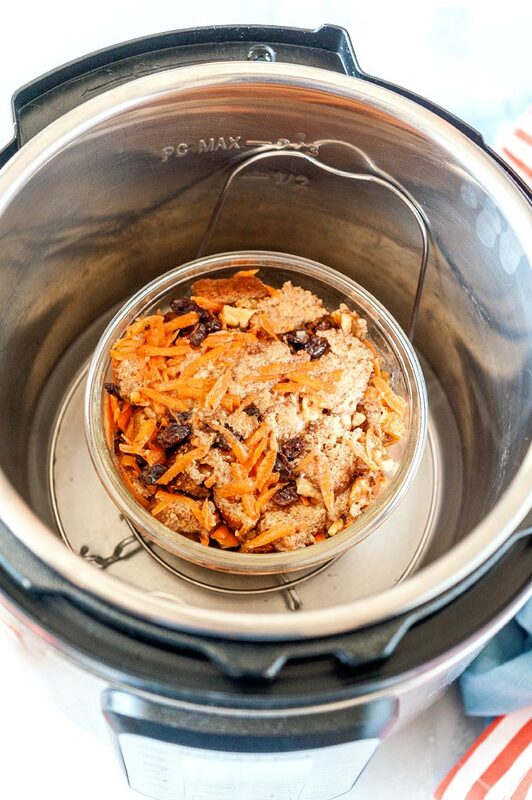 Once the Instant Pot beeps that the 25 minutes of cooking are done, do quick release. This should take about 2 minutes. 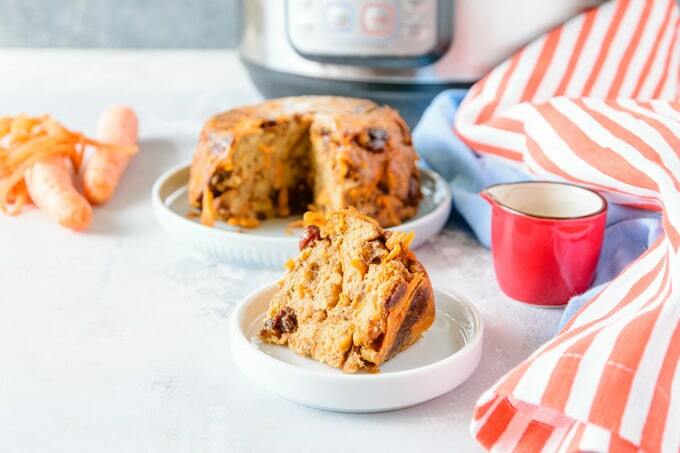 Open the lid and carefully remove the cooked Carrot Cake Bread Pudding. Run a knife around the edges of the dish to loosen it from the walls. Cover with a plate and turn over. It should slide out easily if the dish wash sprayed with the oil well. Serve hot with maple syrup for breakfast or ice cream and whipped cream for dessert. This makes 4 generous servings or 6 small servings. If you have leftovers, then keep them in the fridge. Then slice into pieces and pan-fry with a bit of butter, it will be delicious!